This tutorial assumes you've already logged in to the Client Area. Now let's learn how to update your personal details. Here you can preview your details. 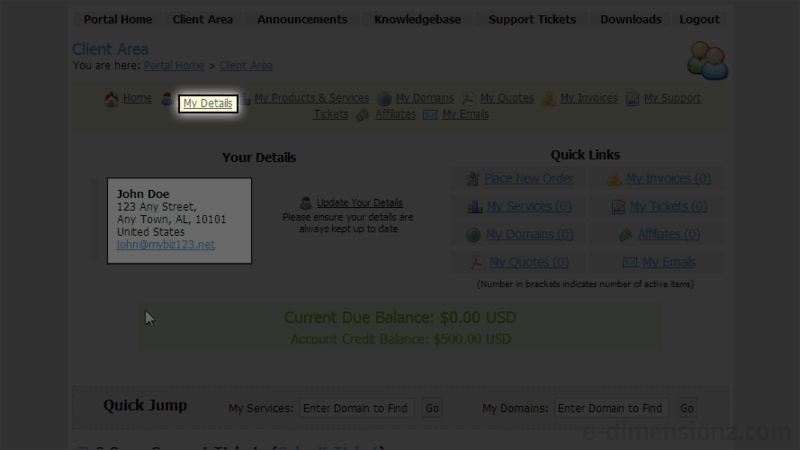 1) Click the my details link. 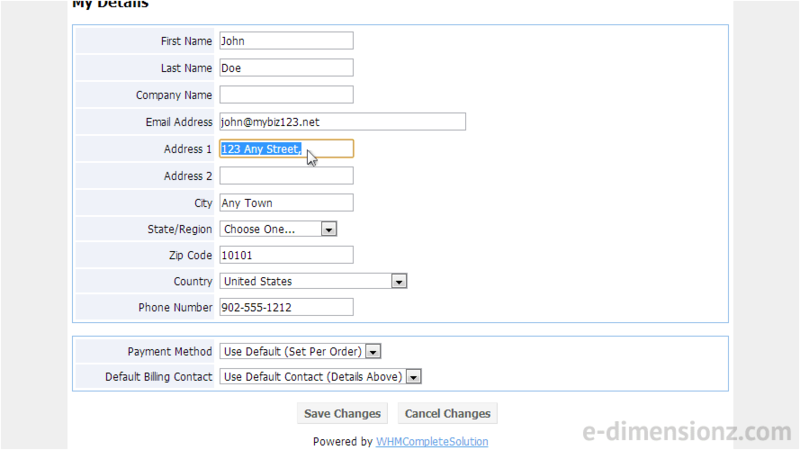 This is the personal details page where we can modify our name, address and more. Let's go ahead and make some changes. 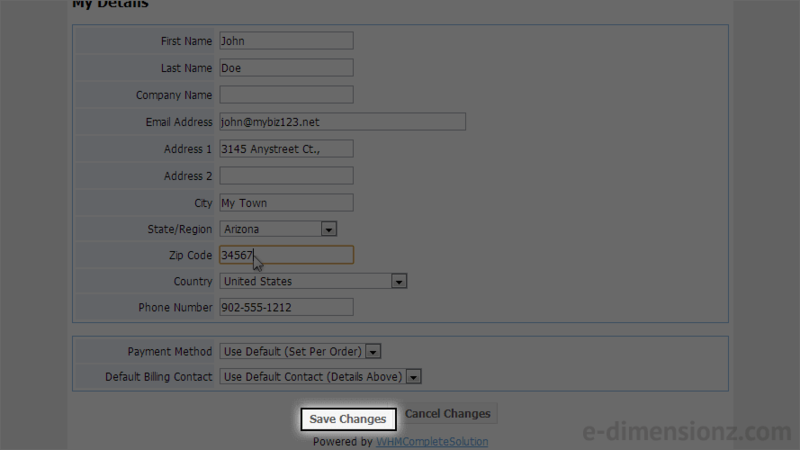 2) When finished, click save changes. That's it! 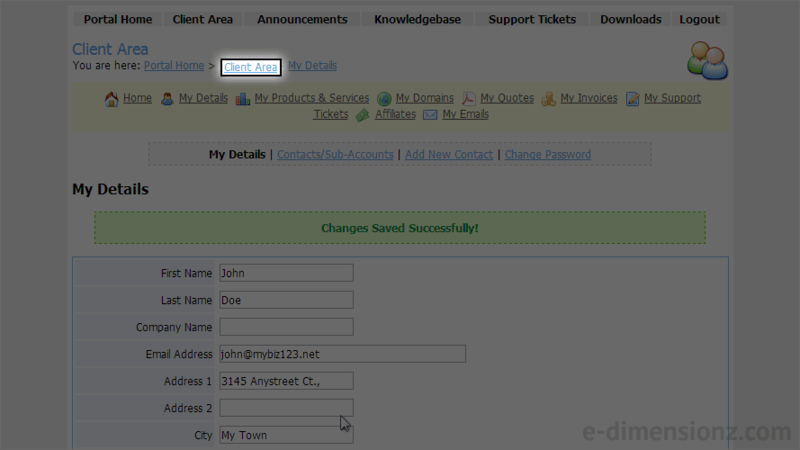 Our personal details have now been modified. 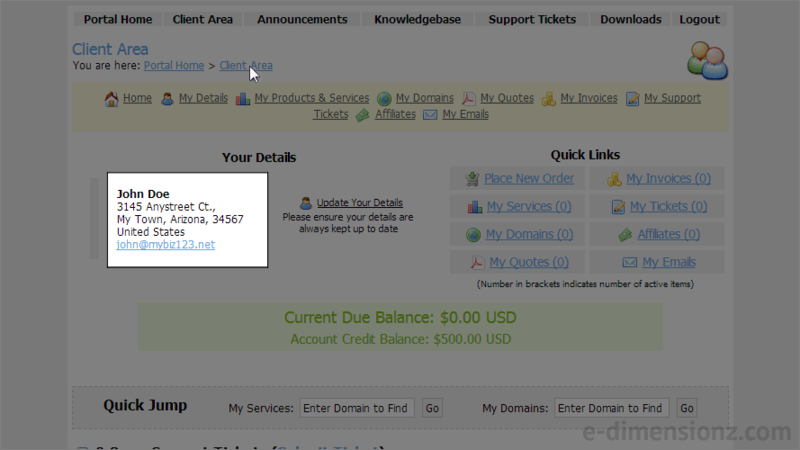 3) Click the client area link. Our new updated personal details can be seen here.